Sometimes we long so much for the perfect life, that we completely miss out on the perfect moments that are occurring daily. Perfect moments are about as good as it gets for humans. Which is actually pretty darn good--crazy good. We just have to remember pay attention to them when they are happening. It's easy to get so distracted by life that we miss them. Check in every so often with your life. Pay attention. You will find perfect moments scattered throughout. Today was Greyson's last day of school. And I might hate change even more than he does. Author Lisa Genova says, "The spectrum is long and wide, and we're all on it. Once you believe this, it becomes easy to see how we're all connected." Life throws us into the cold water of change. I'd prefer to just stick a toe in at a time, but change doesn't work that way. I'm trying to think of the water as less painfully frigid-- and more exciting and invigorating. Change takes time to feel like a new normal. I always feel like I just got here though. No matter what here I'm talking about. This morning we went to school a few minutes early as we always do. 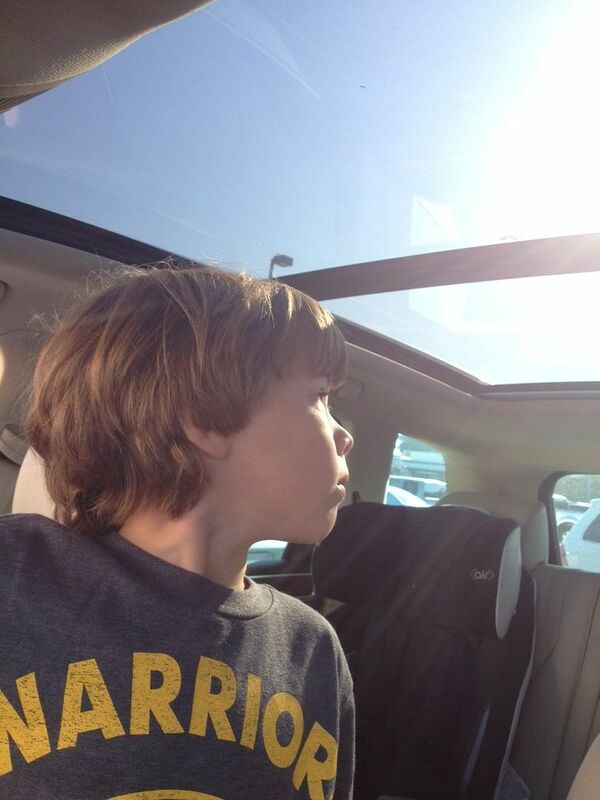 Greyson sat up front with me and opened and closed the sun roof over and over and over. The sun was shining hot through the windows, the air conditioning was on cool- the perfect mix of salty and sweet. Sun beams would fill our car with magic. Doodle thought we were on a ride at Disney Land. 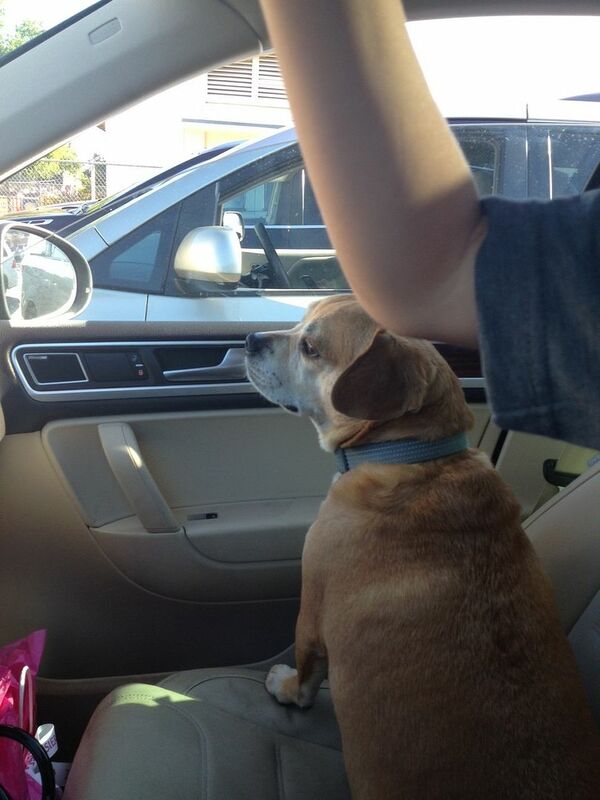 Jack the dog was in the passenger seat, window cracked just enough so he could poke his nose out and smell all the amazing smells. The Rolling Stones song, "Wild Horses" was turned up loud on the radio. The guitar in that song feels like a sunset and tastes like honey mixed with tears. I'm listening to it now as I write. I looked down at my legs and realized I had the chills. I noticed then- that I was submersed in a moment so perfect that it was disguised as real life. Crazy good real life. I wondered how many times I miss them. I was grateful that at least this one- I caught. Real and perfect seem to lie opposite on their own spectrum. I wonder why we spend so much time chasing perfect. Why are we so afraid of real? Real is where the stuff happens. The human-making stuff. Good times make people have fun. Imperfect people with beauty, depth, empathy, hope, faith, problem-solving skills and even humor. Really good people. So much of life is a spectrum, a term that was first fully understood when we learned that Greyson had autism. And then again, in new and different ways when Parker was diagnosed. It's a repeating message in my life-something the universe is hell bent on teaching me. I'm realizing the hardest times can ruin us- OR teach us the greatest gifts imaginable. Happy times are my favorite- but they don't teach me squat. They don't make me better. They don't make me stretch outside of my comfort zone.They don't remind me what is important. "Where are they on the spectrum?" I'm frequently asked in regards to the boys and autism. And there really isn't a simple answer, but I offer one anyway because neither one of us has time for a six hour response. "Somewhere in the middle" is what I say. Which is true. Both of them are completely different and have their own strengths, but both still lie somewhere in the middle. Delay in, or total lack of, the development of spoken language. In individuals with adequate speech, marked impairment in the ability to initiate or sustain a conversation with others. Use of stereotyped and repetitive use of language or idiosyncratic language. a. Encompassing preoccupation with one or more stereotyped and restricted pattern of interest that is abnormal either in intensity or focus. b. Apparently inflexible adherence to specific, nonfunctional routines or rituals. c. Stereotyped and repetitive motor mannerisms (e.g., hand or finger flapping or twisting, or complex whole-body movements). So really each of the three categories also has their own spectrum too. Just like this totally non-scientific, confusing x/y-ish (plus L,M,N, O and P) grid shows. It's confusing and not easily plot-able because autism is confusing and not easily plot-able. 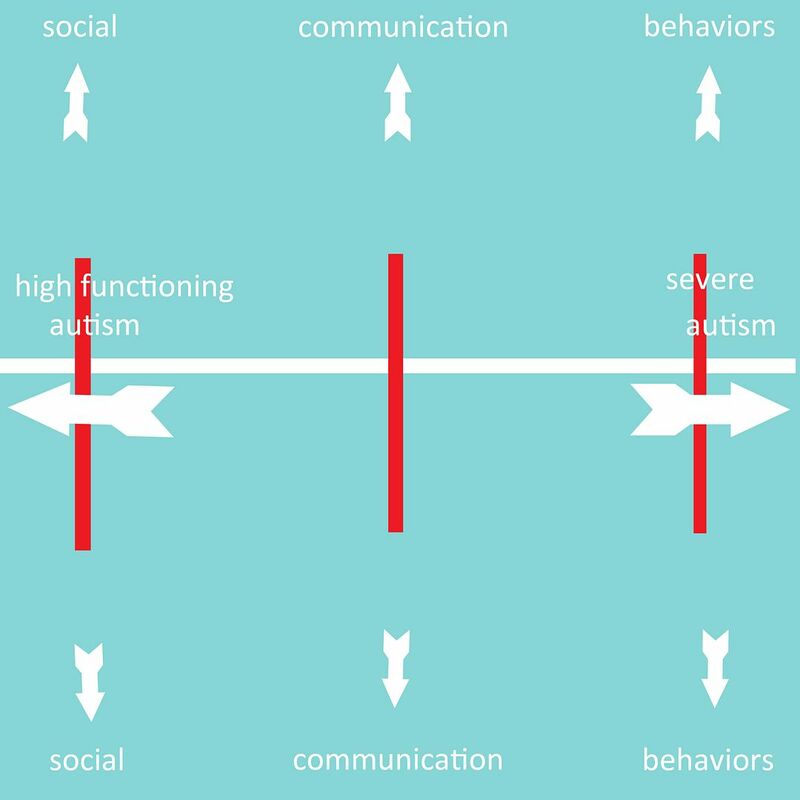 A child can be nonverbal and also have very few behaviors that are in line with autism. Or a child can be highly verbal but have huge difficulty with social interaction. If a child has severe impairments in all three areas: communication, social interactions and significant behaviors- they are "low-functioning." "High functioning" means their impairments do not restrict their abilities and independence as much. 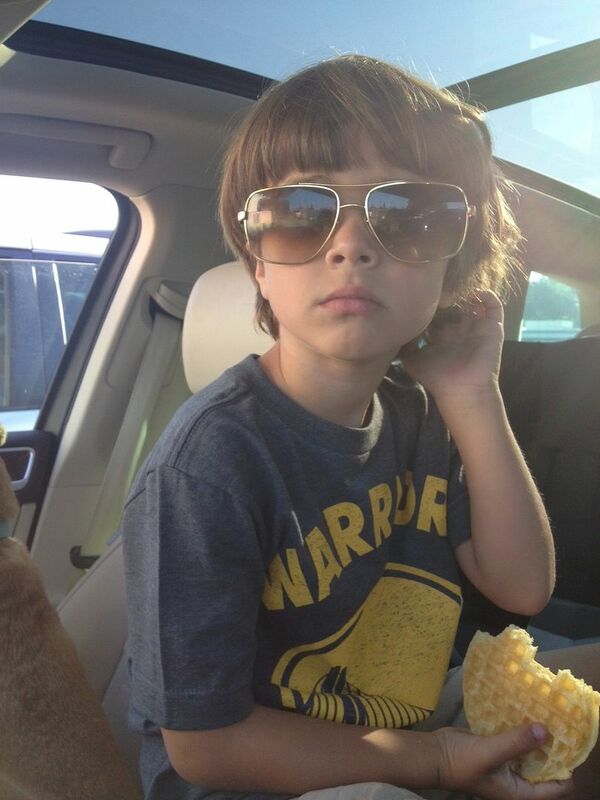 People often assume Parker is "less autistic" because he is more social, even tempered and flexible, can speak words clearer than his brother and is usually a pretty happy little guy. I think he's just different autistic. Parker has significant communication delays. He struggles with receptive language- the understanding of the spoken word. Only recently he started to understand and go to the door when I tell him, "Let's go bye bye!" Parker also does not speak more than 2-3 words at a time and usually it is only when prompted. Although Parker is more socially engaged - he interacts more with adults and less with children. He does not engage in play with peers his own age. 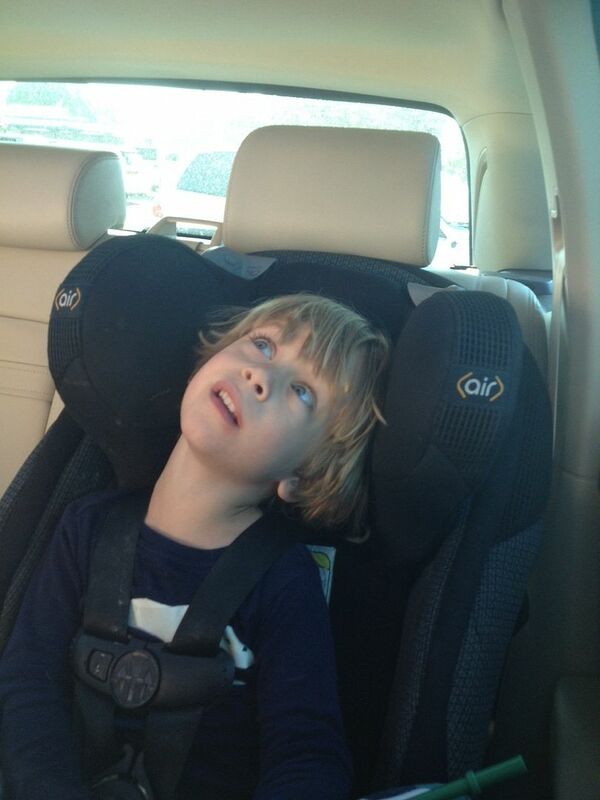 Parker does not have many behaviors in line with autism- he doesn't need things a specific way. He isn't sensitive to sounds. He tries new foods. He doesn't fixate on an items parts. He plays with toys as they are meant to be played with (ie- Grey lines cars up. Parker makes them drive around). Grey is the Spring weather. He is birds singing and rainbows and sudden gray skies and tornadoes. His weather always passes quickly. He shocks me with his knowledge receptive language- even though he can't speak much, he understands so much. He learns fast. 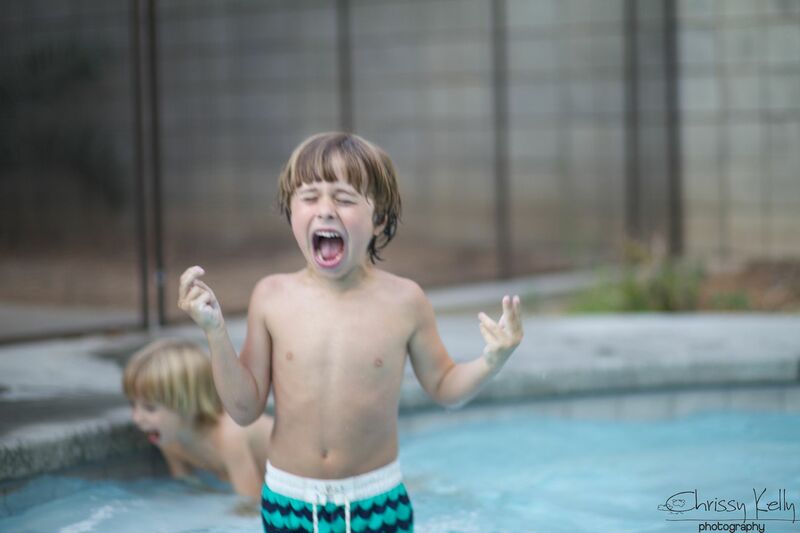 When he gets something wrong- he frustrates slower than his brother. He always tries again. 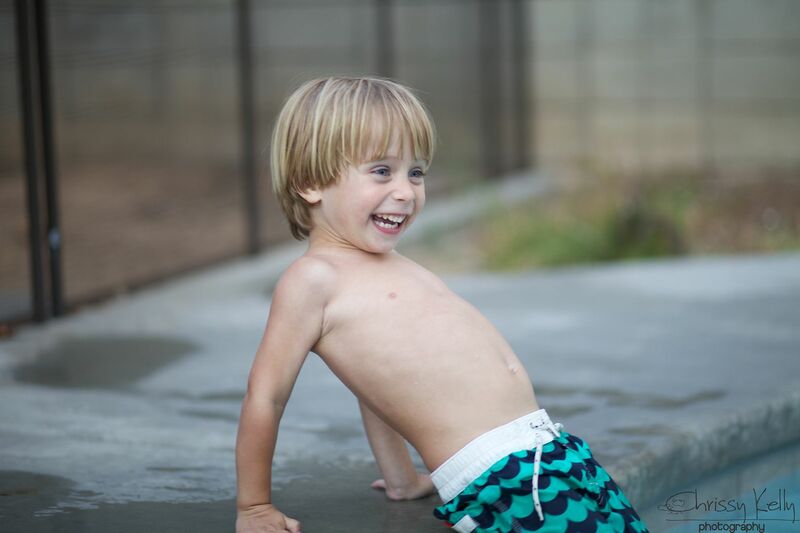 He has apraxia- his brain and mouth can't properly work together to get out the correct sounds. He thinks he is saying it correctly so it's extra frustrating for him when we do not understand him. For example- He says "mies" for fries- which we now know but it took a few days/weeks to figure it out the first time. He frequently leaves off the end sounds in his words. Cup is "cuuuu". Grey has more behaviors in line with autism- sensitivity to sounds and new foods and new situations. And then they are so much the same. Moppy headed giggly boys. They think our back yard is the greatest place on earth. They think a sun roof is a good time. They love the pool, swinging, being outside and long wagon rides. They remind me of how little it takes to be happy. Truly happy. I think adults get so caught up in life that we forget. Seriously. Why is it so hard to be happy? Why is it so hard to remember what makes us happy? Why is it so hard to be a grown up that still plays? Like me- it's impossible for them to hide their feelings. Most of my thoughts lie opposite on their own spectrum.I'm scared of being ordinary. I want to stand out. I want to do remarkable things. Also, I just want to blend in. Mesh together with the people around me so that it feels like home. I want adventure. I need adventure! I'm empty and achy in its absence. I'm so tired of my Groundhog day existence. But I also need the same. I crave the same. I love the familiarity of our routines. I use the same mug for my oatmeal every morning and that brings me great comfort. My world is predictable. A balm that soothes. I think many of us lie somewhere in the middle of our own spectrums in our own lives. Falsely thinking we need to be striving for one side or the other, when all we really need to do is find the good and perfect moments where we already are right in the middle. Happy Summer my friends. I hope yours is the perfect mix of perfect and real. First - your boys are movie star handsome! 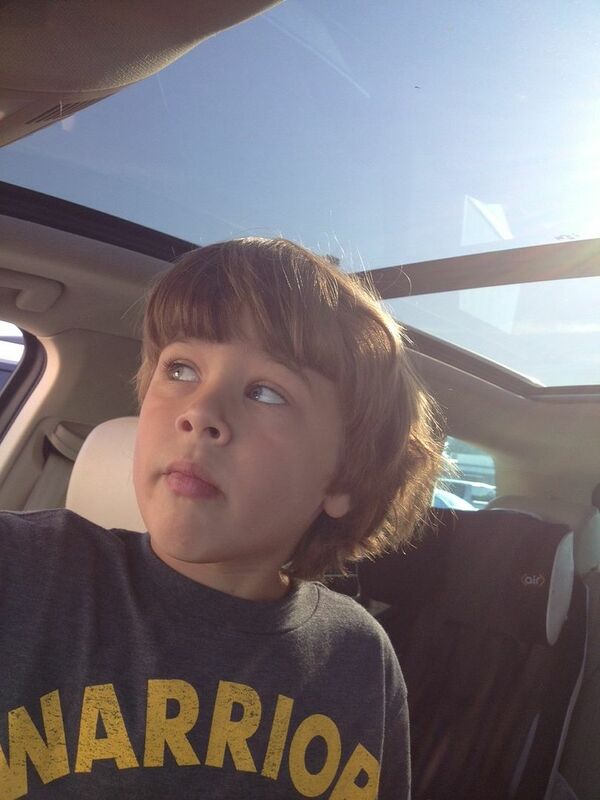 That picture of Doodle looking up at the sun roof - he looks exactly like the guy that plays Deeks on NCIS - LA! (decent show but I really watch it for LL Cool J). You always have a knack for writing the things that are so present on my mind. We moved into a new home & I feel like there are sooooo many things we MUST have for it to be perfect. And I want ALL the things NOW. But our new home is already perfect. It really is. I struggle to be happy with our home of today when our future home will be so awesome - hopefully, God willing. I try to never wish a day or time by, because I know all too soon I will be begging tor more days - more days with my boy or husband or life. Anywho! Thanks for your thoughts and letting me know I am not alone. You always get me thinking and focusing on the things that matter. It is always a pain for me to exit Bloglovin and go to your actual blog so that I can leave a comment, and then to tick, tick, tick out whatever I want to say using one finger, and then to have to fill out my name and prove I am not a robot before I can see my little comment there, in black and white - but I do it anyway, because I always want to tell you that you are AWESOME. Why do they make it so hard?! Haha. Thank you so much- you are appreciated!! !